Welcome to the APRHF Store! All things APRHF can be found here. We are now Walthers, Horizon Hobby, Rapido, Sunsout Puzzles and Charles Smiley DVD dealers. 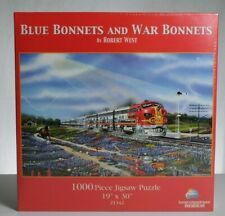 We have APRHF gear, Amtrak Lanyards, LaPlata Pins, Books, Puzzles and Model Trains. Our on hand inventory is mostly passenger train oriented. If there is something you are looking for (freight or passenger) or you have a question, please do not hesitate to contact us. We will be glad to work with you! All Aboard!!!! 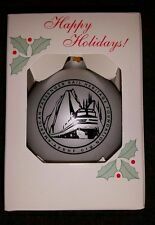 American Passenger Rail Heritage Foundation Glass Christmas Ornament. Amtrak Blue Lanyard (unofficial) with key ring end. APRHF Official T-Shirt. Charcoal New With Tags Size L.
APRHF Official T-Shirt. Charcoal New With Tags Size 2XL. Rapido Official T-Shirt. Blue New With Tags Size 2XL. This is real Rapido Swag.